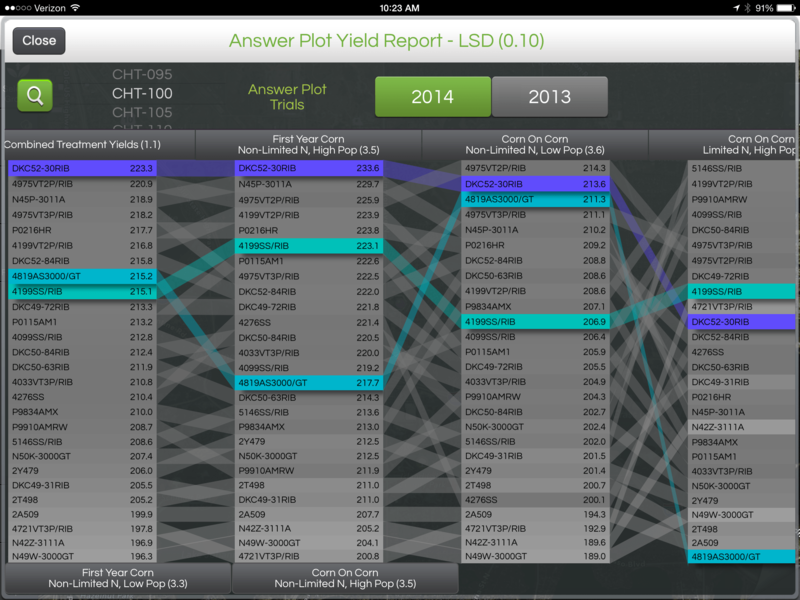 The CHT Tool uses data from the Answer Plot® Program to compare CROPLAN® seed products as well as seed from other major companies to see how they are projected to perform on fields just like yours. 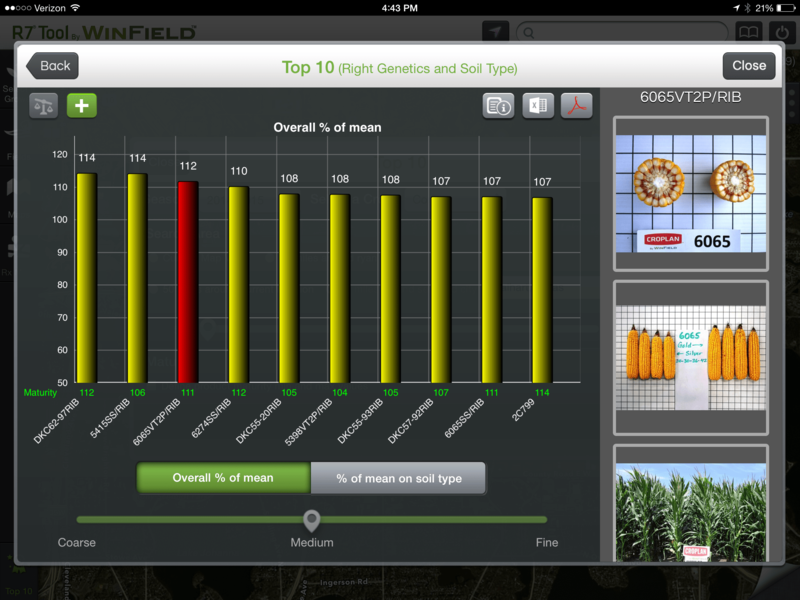 Categories for comparison include soil type, crop rotation activity, plant population and management practices, to allow you to control—and capitalize on—variability in your fields. 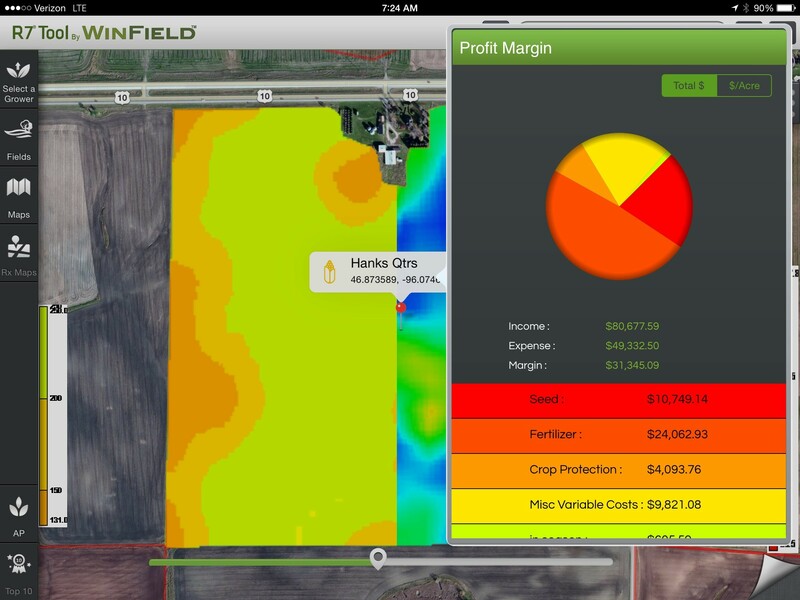 The R7® Tool Profitability Map connects input costs and yield potential map data to determine ROI. Less-profitable areas provide an opportunity to better align input investments with yield potential the following year.